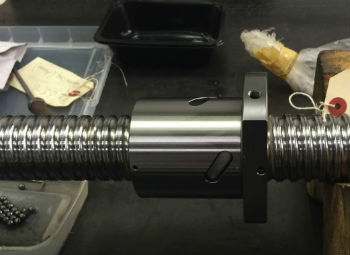 Refurbishing a ballscrew is a sensible and cost effective option for many maintenance and machine tool re-builders but how do you know you are using a ballscrew repair company with the necessary experience and expertise? A poor repair could cause a machine crash and if it’s on the vertical axis this could endanger lives too so it’s important you do your homework and use caution when finding a reputable ballscrew repairer. Look for someone with a good reputation in the business and try to get some customer references. Better still look for a company that produces new ballscrews and repairs them as well. For complete peace of mind make sure they warranty their repairs and offer no cost re-work if you’re not happy with the outcome. Your repair should also be completely traceable for insurance purposes and you should be entitled to an Inspection Report showing evidence of the damage and the work carried out as well as certificate of conformity to evidence the capability of the new ballscrew. An experienced ballscrew repairer will also be able to give you a rough guide price for your repair without dismantling it. If you don’t get this upfront you could have no choice but to pay a widely-inflated price because your ballscrew is in pieces. Just because it looks smooth and shiny when it comes back doesn’t mean they did a good job – anyone can take a buffer wheel and do that! 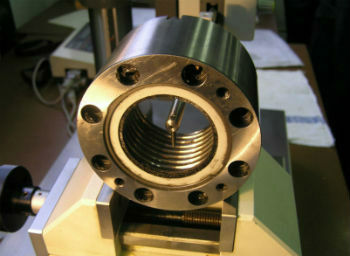 PGM Reball are the UK’s leading technical experts in ballscrew repairs. They manufacture their own miniature ballscrews and can repair any make or size of ballscrew. Repairs are fully traceable and are backed up by a no quibble 3 month warranty with an Inspection Report on demand showing the work carried out. They have a standard price list so there are no hidden charges and ballscrews can be repaired within 24-48 hours. Call 01455 618100 or visit www.pgmreball.co.uk/ballscrew-repairs to find out more.